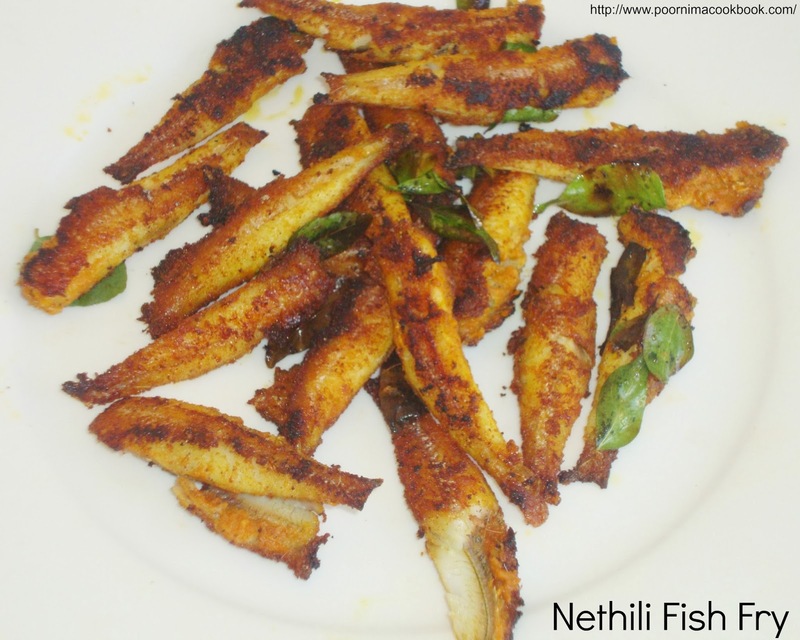 Here a is crispy and tasty treat for Fish Lovers - Nethili Fish Fry! Even beginners can try this recipe; cleaning process is also easy. Wash and clean the fish pieces and pat dry. Take a bowl; add turmeric powder, red chilli powder, coriander powder ginger garlic paste, lemon juice and salt along with fish. Mix everything and allow to marinate at least for an hour. Before frying, add the rice flour and mix well. Turn the fish in between to cook both sides evenly (Do this in a medium flame). Serve hot as a starter or accompaniment to rice with fish curry (Meen kulambu); even with rasam it is delicious! Check my other fish recipes too. Yummy tasty fish fry My Favorite with Rasam. Wow..this looks absolutely yummy dear :) Very tasty and crispy !! Mouthwatering here, nethili fry and rasam is my all time favourite combo. 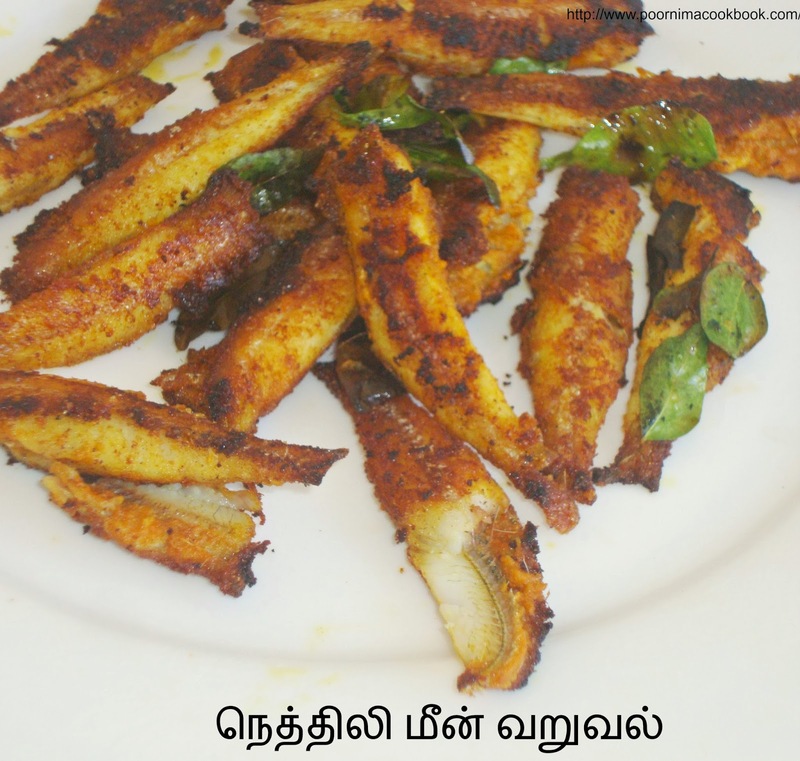 Same pinch, ennakum nethili fry with rasam combo romba pidikum. those nethilis looks very fresh, ippo thaan pichamathri, good one Poornima!